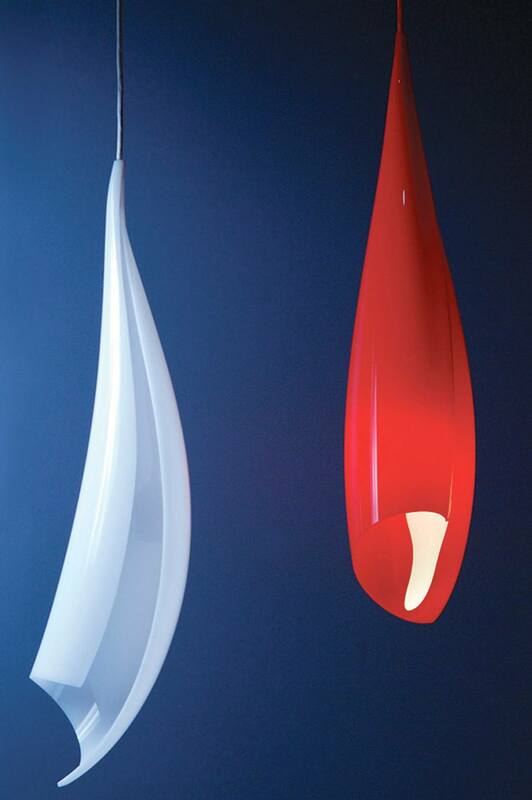 This elegant hanging light designed by Robert Foster is fashioned to recreate the lyrical fluidity of silk caught in the wind. This sleek and sensuous form is reminiscent of shells one might find washed up on the beach; a form with graceful balance seen in nature. This simple shell like form is nothing new to nature but as a man-made object it is very difficult to produce, FINK has developed a unique method to recreate such a form. The Twist Light captures light as if it is being wrapped in articulate membrane.